Officials promised a huge police presence to protect the New York City marathon, which will take place Sunday, just days after the deadliest terrorist attack in the city since 9/11. “We will look forward to the marathon on Sunday, it will go on as scheduled, it will be an extraordinary event as it always is, it will be well protected as it always is, and we will take additional measures to ensure that,” New York City Mayor Bill de Blasio said during a press conference Wednesday. 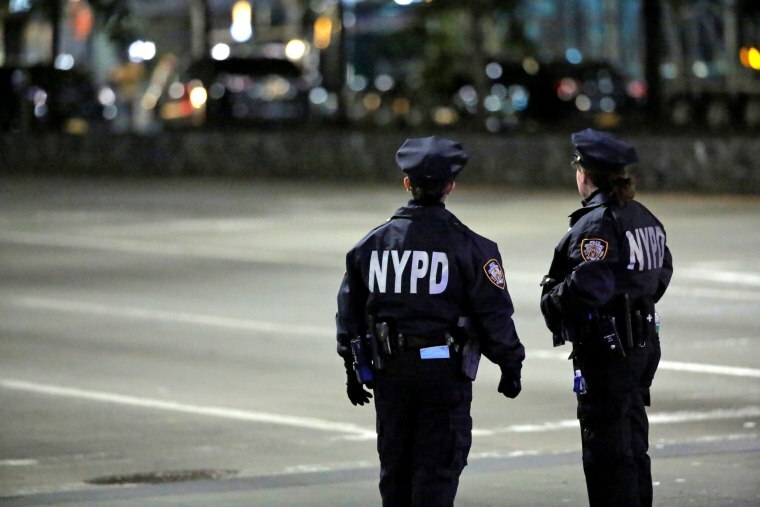 NYPD Chief of Department Carlos Gomez said that following the truck attack in lower Manhattan on Tuesday, which left eight dead and a dozen more injured, police immediately mobilized and deployed additional officers and resources throughout the city. Security would also be ramped up for the upcoming marathon, where more than 51,000 runners and 2.5 million spectators are expected, he said. “We’re just a few days away from the New York City marathon … we’ve enhanced security for this also. It’s going to be a very safe event,” Gomez said. Police have “more than doubled” their observation teams, rooftop observation posts and counter sniper teams throughout the city’s five boroughs, Gomez said. They have also added additional heavy weapons teams around the city for the marathon. Officers from the department’s emergency services unit, strategic response group and critical response command teams will “be at fixed locations along the route, but they will also have a mobile response capability if they are needed elsewhere,” Gomez said. A large number of K-9 officers would also be deployed throughout the route, he added. “Our aviation helicopters will patrol from above, they’ll survey rooftops as well as the route,” he said. “We look for it to be a very safe and enjoyable Sunday,” Gomez added. Related: New York City Truck Attack Brings Deadly Terrorist Trend to the U.S.
Officials said suspect Sayfullo Habibullaevic Saipov was following the Islamic State’s playbook “to a T” when he barreled his rented pickup truck into a bike lane in lower Manhattan Tuesday afternoon. New York Gov. Andrew Cuomo said earlier that they believe Saipov was a "lone wolf" and not part of some wider plot. The New York Road Runners, which produce the marathon, released a statement Tuesday night saying safety was their top priority. “We are constantly reviewing our plans with law enforcement and will consider any necessary modifications or enhancements,” the group said. The 26.2 mile marathon kicks off on Sunday at 8:30 a.m. in Staten Island and goes through each of the five boroughs. “The marathon is a huge endeavor, very well organized. All of our uniformed services know how to handle it,” he said.